The Lilium condo is an upcoming new launch by reputable Singhaiyi Group Limited, which will most probably be launched within year 2018. This freehold land parcel was acquired through a collective sale, with twenty town houses, each three-levels tall, each getting about S$4 million for the en-bloc sale. The developer paid an amount of about S$81.09 million for this freehold site with a land size of about 54,942.69 square feet. Families with on-going children will be delighted as renowned local schools such as Maris Stella High School, Saint Gabriel’s Secondary as well as the Bartley Secondary are all within close proximity. Dining outside, doing grocery shopping? NEX shopping mall, located along Upper Serangoon, is within one kilometre from this freehold condominium too. Over there, you can find lots of restaurants, café and even two food courts to dine at. You can also find fashion shops, beauty shops or even bring your pets there for a weekend get out. A price comparison is done on 99.co researcher and some recent new launches like the Kingsford Waterbay, with a 3 bedroom unit sold at S$1,313.58 per square foot. 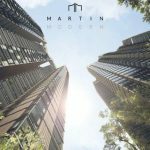 The Affinity at Serangoon, however, has a 850 square feet unit transacted at S$1,424.12 per square foot, while the transacted price at Riverfront Residences as well as The Garden Residences are not reflected yet. Rivercove Residences, an executive condo development, has a 4 bedroom unit transacted at S$947.52 per square foot.